A collection of stuff that didn't seem to fit anywhere else. We're using an IP (Internet Protocol) telephony service called Skype for our cross-country calls with Anna. It has worked out very well indeed and is saving quite a bit of money. Jonathan was getting lots of questions about it at work, so we now offer a brief how-to guide. Here are four tunes performed by the Ramsey Junior High School Concert Choir on March 18, 2004. The official sound recorder had technical difficulties, so apparently this is the only record left of the concert. Sound quality from a videocam stuck in the audience isn't optimal, but the performances are still quite enjoyable. All files are in MPEG-3 format, playable on most computers and portable devices these days. Ellen sings Alto, by the way. A few years ago Anna commissioned a T-shirt. 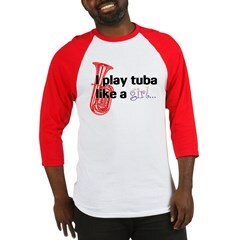 The front says "I play tuba like a girl..." and the back says "...and that's a good thing!" For all of the thousands and thousands of lady tubists who visit this site every hour :-) it's available for purchase. Well, it's a big hit at the high school, anyway. In stylish gray or snappy white tee, long-sleeve tee, baby-doll tee, and new! 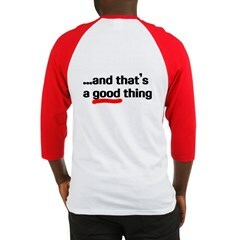 baseball jersey. Update: we've actually sold quite a few of these over the years, to people from as far away as Australia to as near as Wisconsin. Never really expected that to happen!